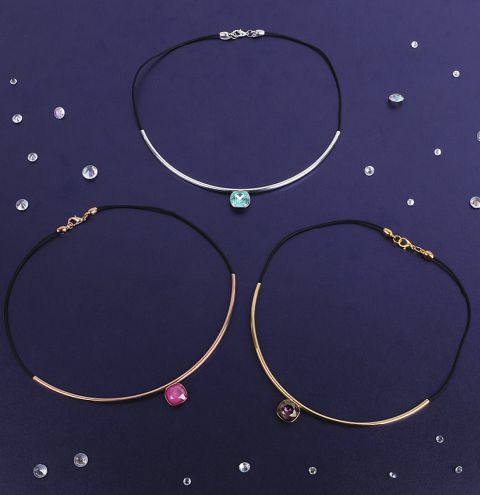 Make a trending choker with black leather and the NEW settings for your Swarovski crystal fancy stones! Cut a 16-inch piece of leather and glue your cord ends to each side. Attach a jumpring to both sides and link one of them to a lobster clasp. Close the loop on the setting with your pliers. Open a jumpring and connect the setting to your leather. Finish by glueing the crystal into the setting and allowing to dry, which can take up to 24 hours.